Looking for a tasty midweek dinner option? 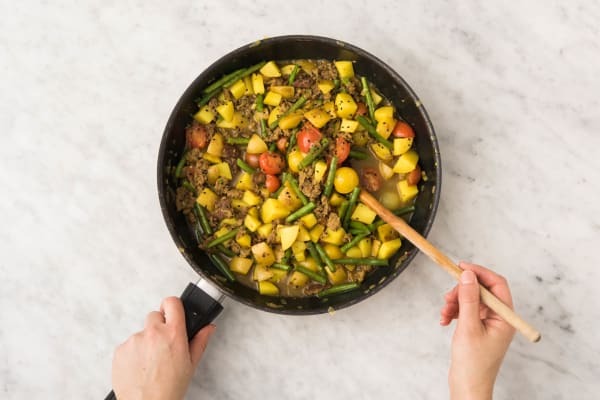 Try cooking up our Lamb Curry with Potatoes & Green Beans in just 20 minutes for a balanced and tasty meal. a) Fill a large saucepan with boiling water from your kettle. Bring back to the boil on high heat. 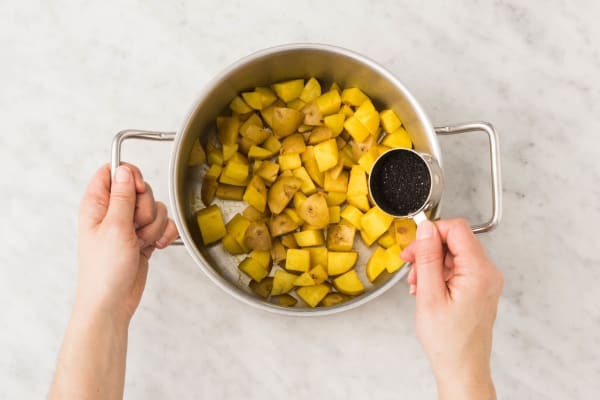 b) Chop the potatoes into 2cm chunks (no need to peel) and add to the saucepan with half the turmeric and a pinch of salt. Cook until you can easily slip a knife through, 12-15 mins, then drain in a colander. c) Return to the pan (off the heat). Keep warm with the lid on. a) Meanwhile, put a large frying pan on medium-high heat (no oil). 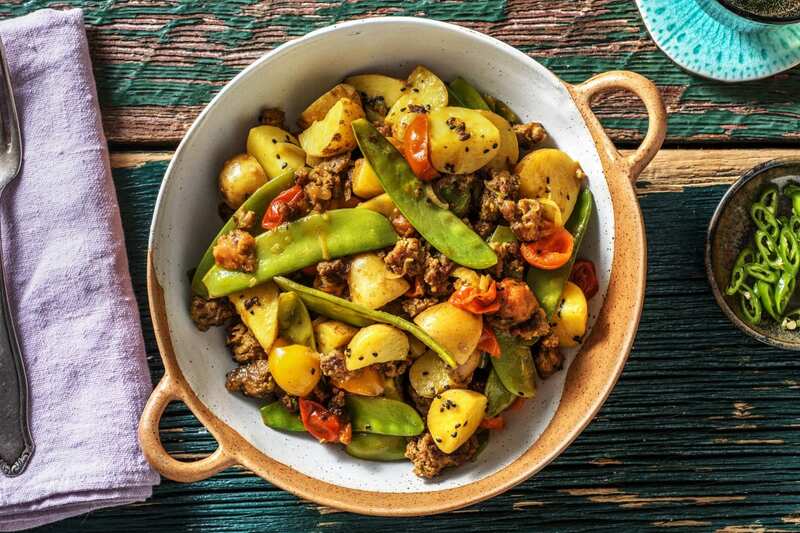 When hot, add the lamb mince and fry until browned, breaking it up with a wooden spoon, 3-4 mins. b) While the lamb browns, halve, peel and thinly slice the shallot. Trim the green beans and chop in half. c) Halve the chilli lengthways, deseed then finely chop. Chop the tomatoes in half (or leave them whole if you prefer). 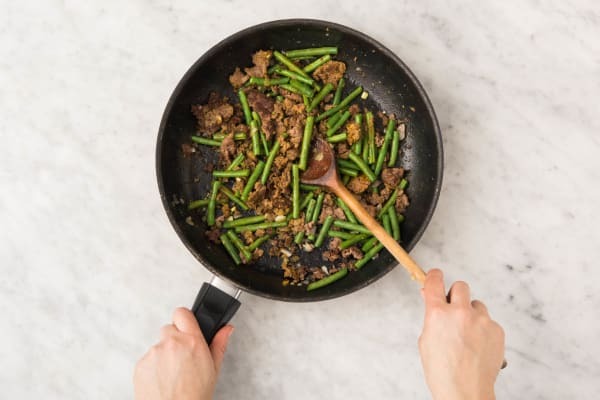 a) Stir the shallot and green beans into the lamb and cook until starting to soften, 2-3 mins. 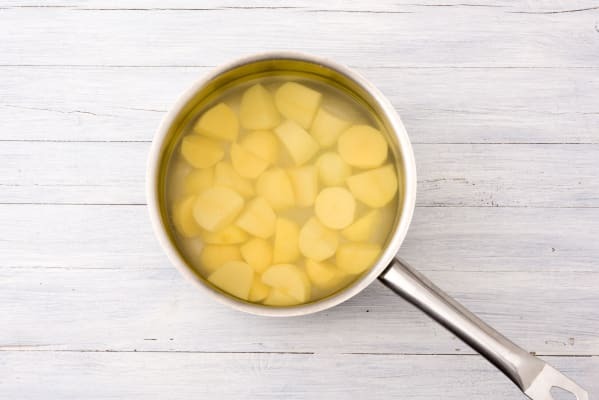 TIP: Add a drizzle of oil if the pan looks dry. b) Stir in the easy ginger, mild curry powder, remaining turmeric, a pinch of chilli (careful - you can always add more later!) and the tomatoes. c) Cook for 30 seconds before stirring in the water (see ingredients for amount). a) Bring to the boil then reduce the heat and simmer for 2 mins. b) Stir through the mango chutney. 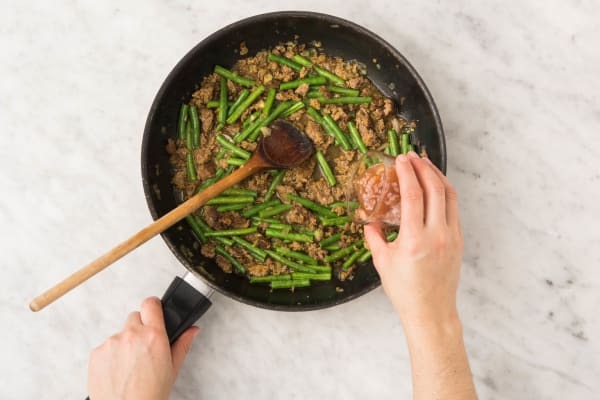 IMPORTANT: The lamb mince is cooked when it is no longer pink in the middle. a) Season the lamb curry to taste with salt, pepper and a pinch more chilli if needed. b) Stir the nigella seeds through the potatoes. a) Using whichever pan is largest, combine the lamb curry with the potatoes and gently stir to combine. b) Serve in bowls finished with a sprinkling of chilli if required.